Here is an article and breakdown by Jason Torchinsky of Jalopnik about the new 2018 Mustang and the various changes. Gone is the V6 with the only the 2.3L Eco Boost and 5.0 GT for this model year. The 2018 Ford Mustang’s newly-revealed facelift has stirred up some disagreements here at Jalopnik’s lovely HQ on the lower decks of the container ship MV Mærsk Sea Dips**t. Our own Justin Westbrook called it “sad,” but I think it’s a pretty nice evolution of the design, and what the hell does Justin know, anyway, right? Still, it’s a subtle update, so let’s try and take a closer look at it. Keep in mind, I’m just doing a quick styling comparison to the current Mustang; I have yet to see the new car in person. Pictures alone don’t usually do a car full justice, so I may revise some thoughts when I finally do see one up close and in rubbing distance. Overall, I think it’s a nice, evolutionary update. The design has barely changed, really, but what has changed I think all makes sense. Overall, I think the goal was to add a bit more emphasis on the car’s width, and to get some of the details cleaned up and a bit crisper, sharper. I think the designers at Ford managed to do just that. 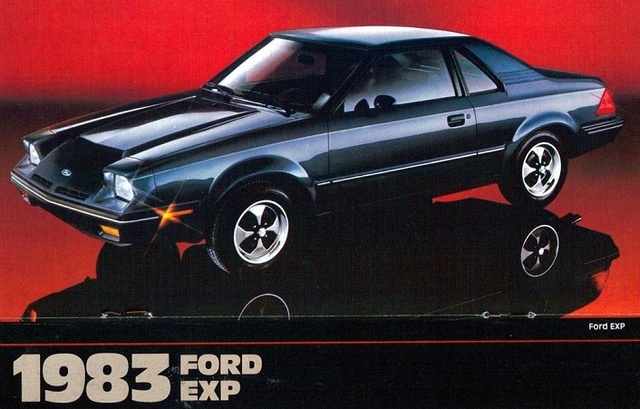 The most dramatic visual change is in the headlights; they’re a bit sunken in and hooded now, in what I like to imagine is a tribute to the Ford EXP, even though I’m well aware that was the goal of absolutely nobody. The more pronounced ‘eyebrow’ makes the car more determined-looking, and the headlight shape has been made a bit more complex. The insides, with the iconic \\\-shaped DRLs (based on a stamped design by the original Mustang’s headlights) has all been retained, but I think everything works better. The three-slash daytime running lights do also get a bend at the top, making them a bit more complex than just the original slashes, too. Is that a vent, or just a shadow? Some pictures make it look like just plastic from the front bumper/grille surround, some suggest an opening. Do headlights require cooling now? Feel free to enlarge that diagram so you can read the callouts and I don’t just re-type everything here. As I said before, the result is a crisper, wider-looking, more purposeful-seeming Mustang. It’s a bit of an improvement, I think.